This men's mask is hand painted bronze and black with raised detail to give an antique look. Mask is made of a durable molded resin and comes in four different colors. Secures with black ribbon ties. 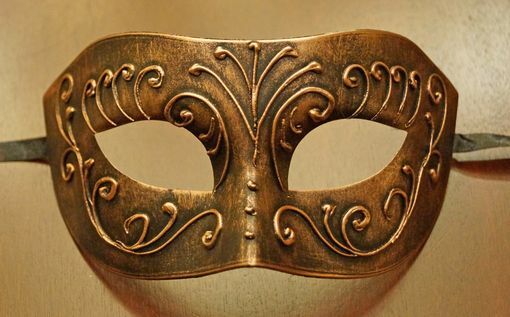 Men's bronze mask is great for Masquerade balls, New Year celebrations, Mardi Gras, and any Venetian style event.